Do you ever get a build-up of gunk in your hair, courtesy of all the hairspray, heat protectant, dry shampoo or anything else you might use? And sometimes that gunk lingers even after you wash your hair, making it harder to go a few days between washes because your roots get greasy faster? I know that I've been a victim of hair grime because I don't wash my hair every day, and I have finally found the perfect remedy. 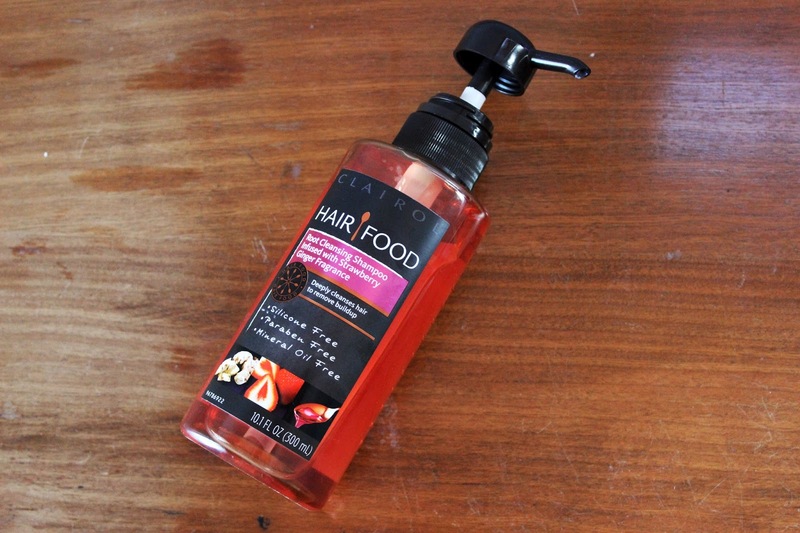 Say hello to the relatively new Clairol Hair Food Root Cleansing Shampoo Infused with Strawberry Ginger Fragrance. Longest name ever. Aside from the semi-obnoxious name, this stuff is pure gold. It deeply cleanses the hair to remove all the buildup from root to end, making it easier to start fresh and go days between washes. Clairol Hair Food is silicone, paraben and mineral oil free - score! I'm partial to ginger scented products, and I have to say -- the scent of this shampoo is out of this world. I want to use it every day, or have a body spray that smells like this. It's a heavenly aromatic experience to use this shampoo. Whenever I use it (once every one to two weeks) my hair feels so clean, but never stripped of moisture. If you're a daily hair washer, be sure NOT to use a clarifying shampoo every day. Save clarifying shampoos like Hair Food for once a week at most, or it will start to strip your hair of necessary oils and moisture. I really love having this product in my hair lineup. I will definitely buy it again when I run out. 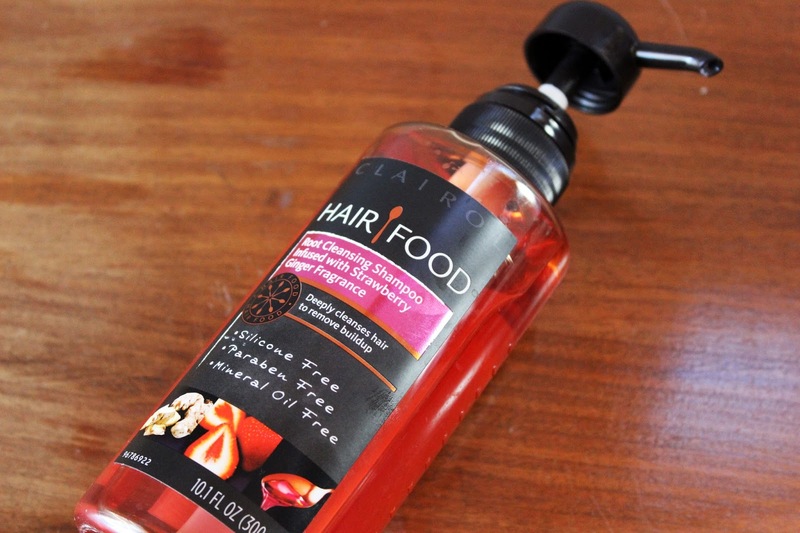 You can purchase Clairol Hair Food at Target for $9.99 (10.1 oz).